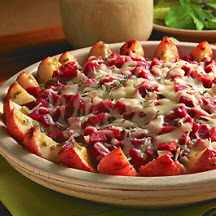 CooksRecipes has quality, kitchen-tested recipes for corned beef dishes that you can count on for successful deliciousness. 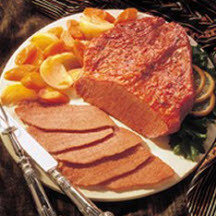 Fork-tender corned beef served with orange glazed carrot slices and onion wedges. 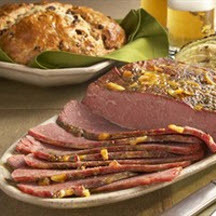 This just might be the best recipe for corned beef and cabbage ever.